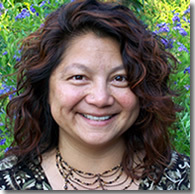 An avid metaphysician, Valencia has studied in depth topics including astrology, tarot, crystals and feng shui. She received her certification in astrology in 1987 from Experience Astrology in San Francisco and for Feng Shui in 1996 from Feng Shui Design in Grass Valley. Your astrological chart is your blueprint to your soul. There are no two alike. Like a snowflake each is unique and unrepeatable. See what your chart says about you. ​- Available most time at Angel Light Books & Gifts. Please call or email to schedule an appointment. Astrology Reading: $260 - To buy now, please enter your *full name, birth date, time and place below. Eloise Hill is a nurse, writer, and a psychic with over 30 years experience doing intuitive readings and working with the tarot. She is clairaudient, clairvoyant, and clairsentient, meaning information comes to her through various mediums: sometimes as a voice, sometimes as a mental picture or symbol and sometimes as a “gut” feeling. She has been aware of these abilities since childhood and has, through a series of synchronistic events, encountered master teachers who recognized her abilities and helped hone her intuitive gifts—including the late spirit medium, Karen Lundegaard, P.H.D. The aim of her readings is to assist you in creating clarity and self-empowerment and in reconnecting to your own spiritual path and hero's journey. She has helped many people find pragmatic answers to their questions and would love to be of service to you. Ryan Johnson comes from a lineage of psychic women and has been gifted with the ability since childhood. She completed the Clairvoyant Program at Berkeley Psychic Institute, The Sacred Healing Ministry and the Spiritual Teaching Program at Spirit Calling, and The Angel Therapy Practitioner Course from Doreen Virtue. Ryan receives messages from spirit guides, angels and the client’s own higher self. She can provide guidance on questions regarding relationships, departed love ones, career, life path and health. All her readings include a healing. Katen is guided by her Spirit Guides to bring others insight and awareness with her Psychic abilities during a session. She may also use divination tools during a session. Katen is able to connect you with loved ones who have crossed over. She believes it is important to be able to give you the most beneficial information and recognizes the power of positive thinking. She has been doing research on topics related to metaphysics, holistic health and esp for over a decade. I have been a psychic reader for 30 years, and have worked on the Déjà Vu Psychic Hotline for three. I also teach classes and workshops in learning these wonderful tools for your magical toolbox. My specialties are clear spirit communication about pesky problems, spiritual problem solving, and spirit releasement (depression, alcohol beings, stuck entities, etc.) I also do house readings and healings, and animal communication and healings. People call me with relationship and Real Estate issues! 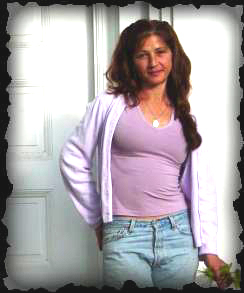 I graduated from Berkeley Psychic Institute (clairvoyant program) in 2006, but took my first meditation class in 1978! I have also taken Ministers in Training with Berkeley Psychic Institute. My other reading and healing modalities include: Akashic Record reading, Angel Messages, Violet Flame techniques and other “I AM” activities. I do healings on all four bodies. I use both Archangels and Ascended Masters in my healings, (including Christ force and Mary healings), and do clairvoyant readings with them as well. I absolutely LOVE doing readings and healings. It is a joy, a gift, to read—and I get my answers as well! I have many repeat, satisfied, transformed, (or sometimes just, happily, more informed) customers! I offer clarity, insight, and spirit-to-spirit communication. I explain in simple terms how to help your life be, and stay, on track with source and flow. I offer profound healing work, and releasement. I get results—AND, we get to laugh! Evelyn Mazza is an advocate for self development in creating different tools for intuitive awareness. She teaches & practices psychic mediumship, psychometry, meditation, healing & specialized readings to connect with spirit guides/angels & fairies. She conducts classes every 3rd Saturday of the month at Angel Light Bookstore. She offers mini psychic/past life readings on the 3rd Sunday of the month as well as private readings. I graduated BPI’s clairvoyant program in 2007, and BPI Dendera Women’s Healing Program in 2010. I have been doing readings and healings in one form or another for many years. I read past lives, work, relationships, family, spirit guides, akashic records, and more, with amusement and directness that allows you to lighten up and be free of feeling stuck. Ann is a psychic medium. 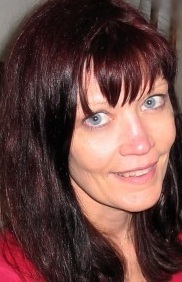 She has almost 30 years of experience in doing readings and healings. In mediumship readings she communicates with your loved ones in spirit sharing messages that can be deeply validating and supportive. Ann also does psychic readings by reading your aura. She can focus on any area of your life to give you intuitive insight into what you are going through. Her healing work focuses on rebalancing the chakra and energy channels. Ann’s intention is to help you connect to a place within where you feel whole and empowered. Services offered: Mediumship Readings, Aura Readings, Relationship Readings, Business and Money Readings, Past Life Readings, Spirit Guide Readings, Astral Body Readings, Animal Communication Readings, Energy Healings. Charlyn Spitzer is able to connect with the spirits of those who have passed on. She has been aware of this ability since her early adolescence. As a teenager, her ability manifested with physical phenomena. Doors were seen opening and closing, items would fall off shelves, and voices of spirits were heard by others around her. At age 14, her mother became frightened and called in the aid of a Catholic Priest in hopes that he could “cleanse” the spirits away. But the spirits continued to communicate with her. In her early thirties, she realized that she could no longer ignore the spirit communication she had been receiving. The spirits wanted her to tell their loved ones that they were okay. She started attending a Spiritualist church. She is currently a medium at Golden Gate Spiritualist in San Francisco, has also given messages at The Church of Two Worlds in San Leandro and worked as a medium at the New Living Expo 2012 in San Francisco. Charlyn believes that the spirits are with us to help guide us and also to give us peace in knowing that they are okay and not suffering. Her communications will prove that the soul takes with them the memories of events they have shared with us. She embraces her gift of mediumship and has a clear understanding of the change called death. Her services include personal readings, group readings, séances and hauntings. Cinthia Varkevisser is an energetic reader, channel for consciousness, intuitive graphologist and coach. She uses psychic, intuition, energy and creativity to reach into a person's past and find what is reducing a joyful present. Choices are then presented to either release these links or learn optimally before moving on. Readings, classes and coaching help align thought, emotion and action. It bridges the gap between spirituality and physicality - connecting self to the greater being while moving in this world in a very individual way -and provides the space for people to explore their thought process and their ego, combining the two for a harmonious blending of body and spirit. Wanugee has found harmony with an ancient Asian Oracle that predicts the Qi Energy flowing in your future, in a subtle and refined way, just under the conscious mind, usually 6 to 8 months into your future. This energy is similar to that found in Feng Shui or Acupuncture, in that it is dynamic and awaiting your awareness and participation in it. 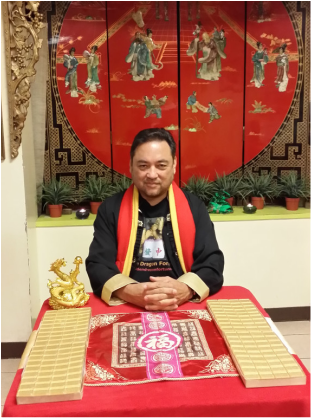 He has used this Oracle over the past 2 cosmic Asian cycles and now offers it for you with Golden Dragon Fortunes, beginning in the auspicious Year of the Golden Water Dragon. As your Awareness Guidance Counselor, Wanugee sincerely hopes to help you awaken your own Qi Energy consciousness in your future with your consultations with Golden Dragon Fortunes.